Good to know in any language! As many of you know, we left the beautiful island of Malta for the equally beautiful Malaga city of Spain about 5 months ago. What you also know, is that my command of Spanish is practically non-existent :-(. I had friends in L.A where l lived for so many years who were Hispanic, and l did learn some things here and there, but they were mostly for work. Here, l doubt if anyone really wants to know to take their pills three times daily or unwrap their suppository before insertion :-). I have been struggling with learning Spanish since we arrived. I had previously being using another online language app, which started out easy, but got hard really, really fast, and l gave up. 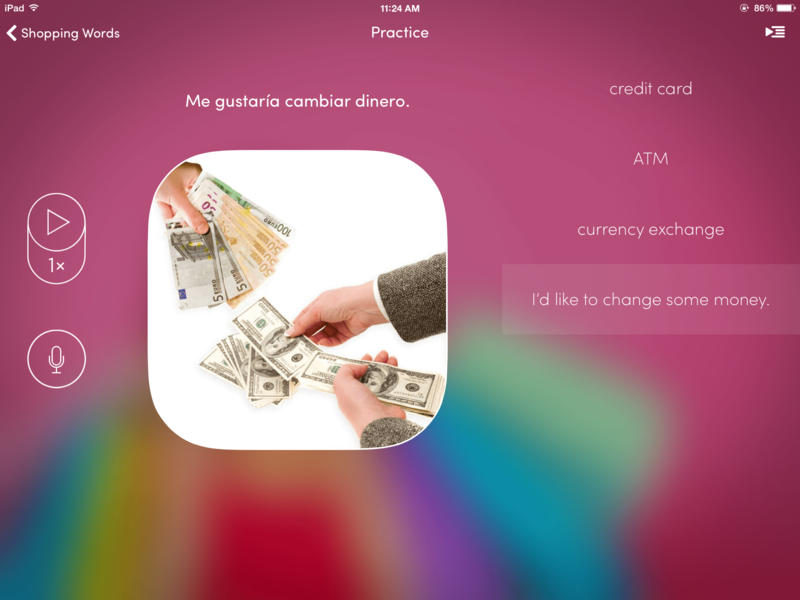 Enter uTalk, a language learning app. I found out about them on my twitter feed. One of the people l was following had tweeted about it, and it sounded user-friendly. It piqued my interest, l saw they were giving away an unlock code for the uTalk app. I sent them a nice Blogger request email detailing my desire to learn Spanish, and lo and behold, l got a nice email from Liz. She sorted things out for me, and l got the uTalk code for my ipad the day after my request. – uTalk is very easy to use, l downloaded it from the apple store, put in the code given, and bam, l was in like Flint. – I was immediately enticed by the luscious, professional quality images of utalk. Seriously, it elevated them in my eyes. – It is set up in a way that you find yourself eager to learn. You practice words first. Next, there are a series of interactive games, some easy, and some hard. You listen and repeat, thereby reinforcing what you learned. There is also a memory and recall game. All this is done at your own pace of course. – This is probably my favorite point. 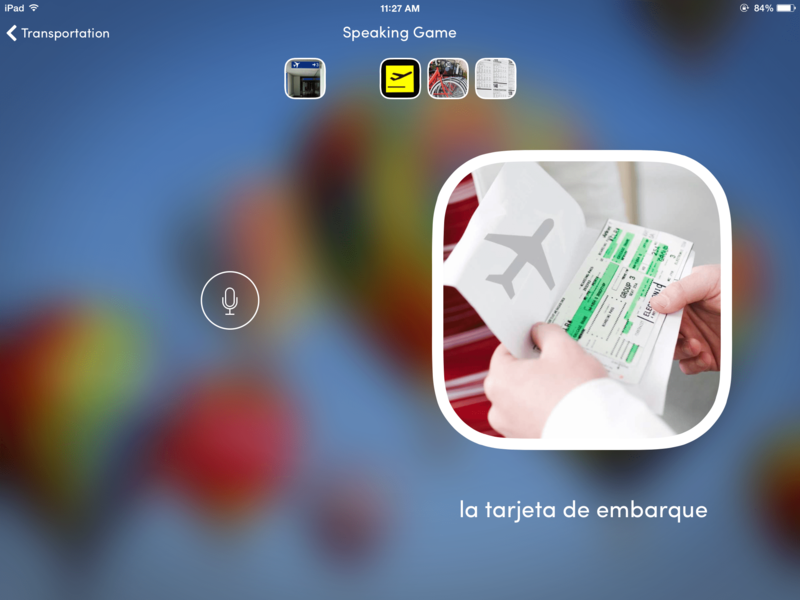 It teaches you phrases that you will actually use and need :-). For example, we go to the grocery store daily, and now thanks to uTalk, l can ask for the cereza (cherry) or the aguacate, all by my lonesome…no hubby needed. It may sound like a small thing, but it’s epic for me, as l was pretty much dependent on him to make myself known, along with mime, etc. The other lessons include “vacation”, “travel”, “food and drink” “transportation”. These are all extremely useful. Phrases you will actually use..
My knowledge of Spanish has shot up immensely, and it has boosted my confidence. I am certainly not saying that you will become fluent in the chosen language, but you will definitely be able to have a conversation, and it teaches you one of the most important phrases: “hablas mas despacios, por favor” (speak slowly :-)) I am extremely impressed, and as soon as l am done with Spanish, l intend to add Italian to my language skills, so l can finally communicate with my MIL! uTalk has graciously agreed to give away 3 unlock codes to the first 3 readers who asks yours truly. The regular cost is $9.99 per language, and l think it is definitely worth it. There are about 30 lessons per language and they have a ton of languages too, including Albanian, Japanese, and Thai. *This review is entirely in my own words. I did receive a free unlock code from utalk, but if you are a regular reader, you know l write about what l like, and of course, what l do not like. I had never heard of it before. I am so glad you love it too. Thanks for the encouragement :-). Today, l was able to ask a neighbor about their small dog, as hers was sniffing mine, and use the right words too..Bosnian? Wow.. L salute you. You got it lady!!! :-). I will forward your email to the right person. You will really like this app. Tremendously helpful. What language are you learning? Thanks for reading.